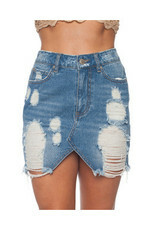 Not your average mini skirt! Made to be bold and have a great time! Store Policy: No Refunds.This item can be exchanged or returned for store credit.